Product Description: Evencure W30 is a wax-based, sprayable curing compound formulated to cure freshly laid concrete. It is of low to medium viscosity, white pigmented emulsion of specially blended waxes. Evencure W30 meets the requirements of AS3799 for moisture preservation in liquid membrane curing compounds. 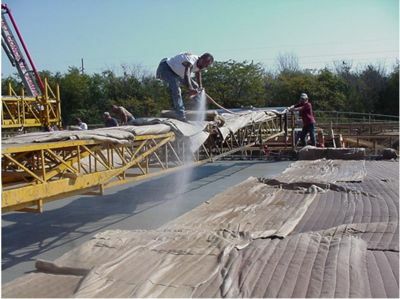 After thirty to thirty-five days the continuous film formed on the concrete surface will begin to degrade due to exposure to UV light.